It's been real busy here being a mom of 7 with Halloween week and husband out of town. I've been getting a lot done, despite it all, and can't wait to share! 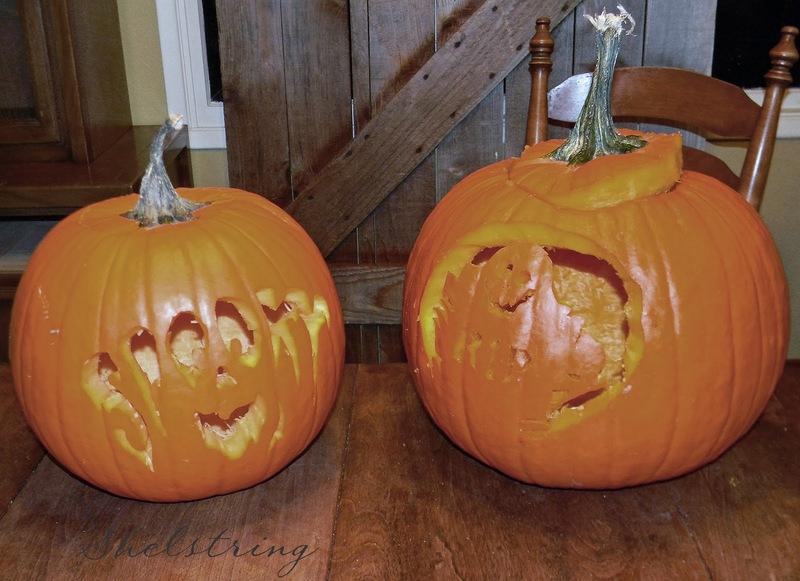 In the meantime, thought you would enjoy our pumpkin carvings. Join me later today for the 31 Day Challenge! Kids are so much fun, miss having one around especially this time of year! Love the pumpkins! Must have been fun!